Do you wonder whether your drinking is becoming a problem? Alcohol use can turn into alcohol abuse, and a casual drinker might cross the line into being a problem drinker or alcoholic. It's good to take a few minutes and look at your drinking and spot whether or not it has become a problem. By recognizing when your habits have become potentially harmful, you can take steps to address them before they cause more damage to your life. Answering 11 questions will give you an idea if your drinking patterns are safe, risky or harmful. The test is completely confidential and anonymous; your results are not recorded and are available only to you. You're not asked for any personal identifying information. This quiz does not provide a diagnosis of alcohol abuse, alcohol dependence, or alcoholism, or what are now considered alcohol use disorders. The results cannot substitute for a full evaluation by a healthcare professional and should only be used as a guide to understanding your alcohol use and the potential health issues involved with it. When answering the questions, use the last 12 months of your life as a frame of reference. Be honest with yourself, only you will see the results of your test. Take the quiz now. Alcoholism is now termed severe alcohol use disorder. What used to be termed alcohol dependence and alcohol abuse are now classified together as alcohol use disorder and ranked as mild, moderate or severe. The questions in the self-assessment quiz are based on the 11 symptoms listed for alcohol abuse disorder in the American Psychiatric Association's "Diagnostic and Statistical Manual of Mental Disorders (DSM–5)." If you display only two to three of these symptoms (as indicated by a "yes" response to the questions) you can be diagnosed with a mild alcohol use disorder. If you have four to five of the symptoms you're considered to have a moderate alcohol use disorder. 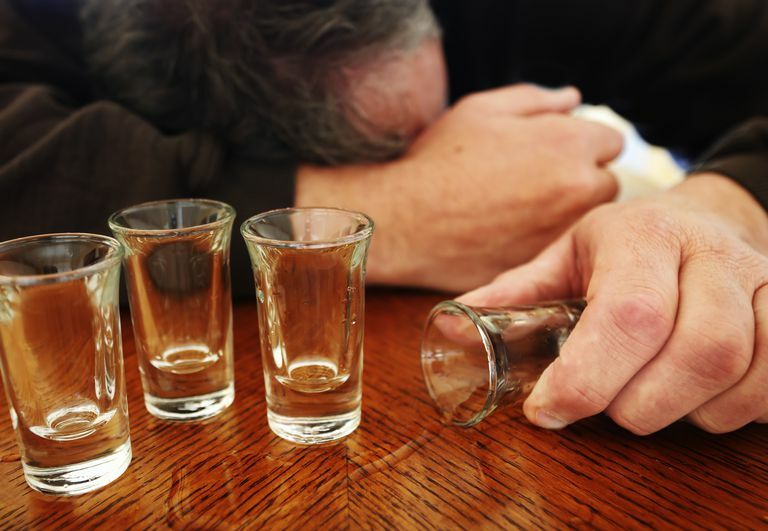 If you have six or more symptoms, you're diagnosed with a severe alcohol use disorder. Do you sometimes drink more than you planned to drink? Have you ever tried to quit drinking and were unsuccessful? How much time do you spend each week drinking? Do you ever get an urge to drink or a craving for alcohol? Do you often miss work or school or obligations at home due to drinking? Has your drinking negatively affected your social or family relationships? Have you given up hobbies or activities you used to enjoy? Does your drinking ever put you in dangerous situations? Has drinking caused you any persistent health problems? Does alcohol still give you the same feeling? When you go without alcohol, do you get withdrawal symptoms? If you think you might have a problem with alcohol, even if your score indicates you probably aren't an alcoholic, there may be habits you want to change. Has your drinking pattern changed lately? Did you have an episode, even just one, that made you feel unsafe or out of control? If you have a concern about your drinking, you may want to mention it to your healthcare provider and perhaps get a professional assessment. National Institute on Alcohol Abuse and Alcoholism. Alcohol Use Disorder. https://www.niaaa.nih.gov/alcohol-health/overview-alcohol-consumption/alcohol-use-disorders. National Institute on Alcohol Abuse and Alcoholism. Alcohol Use Disorder: A Comparison Between DSM–IV and DSM–5. NIH Publication No. 13–7999. November 2013. https://pubs.niaaa.nih.gov/publications/dsmfactsheet/dsmfact.pdf.